NUM pickets at Tilbury Power Station in 1984 - photo courtesy of Echo Newspapers. The miner’s strike of 1984 was a watershed moment in post-war politics. 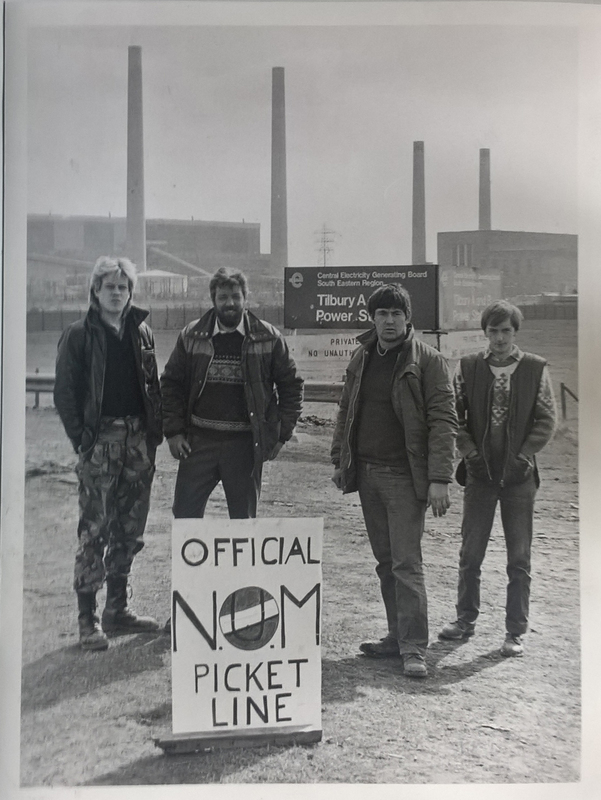 Confrontations mainly took place in the coalfields of the north, but at that time, Tilbury Power Station was still burning coal. As a result, there was a NUM picket.